Yes, blurry vision is a symptom of dry eyes. Other dry eye symptoms include burning eyes, itchy eyes, a feeling that something is in your eye, red eyes and pain in the eye. Dry eyes also can cause eye irritation that produces watery eyes at times. In addition to keeping the front of the eye (the cornea and conjunctiva) moist and healthy, the tear film is an important part of the visual system. For clear vision, your tears must have the correct balance of water, oils and mucous to allow the tear film to spread evenly across the surface of the cornea and remain intact for a significant period of time. Depending on the cause of dry eyes, the tear film may evaporate very easily or it can become too oily or filled with mucus. Any of these conditions will prevent the tears from spreading smoothly and remaining on the cornea long enough for clear, comfortable, stable vision. Blinking fully and frequently may temporarily help decrease blurry vision from dry eyes because the blinking re-spreads the tear film across the cornea. 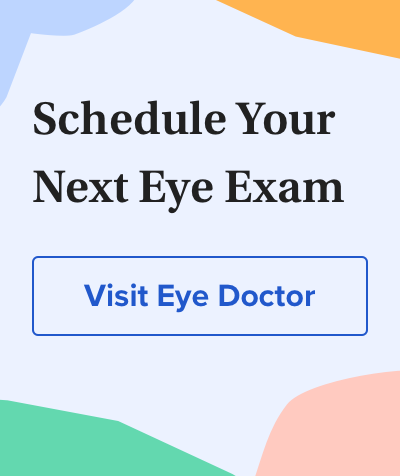 If you suspect you are experiencing intermittent blurry vision from dry eyes or other dry eye symptoms, see your eye doctor to evaluate whether you have dry eye syndrome and determine the best dry eye treatment to restore clear vision.